This recipe is now featured on KeyIngredient.com! Seeeee? Also known as “Why Is It So Cold In The Spring In NC” Soup or “We Just Had A Huge Barbeque on Saturday, What Will I Do With All The Leftovers” Soup. This whole week is rainy and cold. It doesn’t make sense, so I decided to make stew. Yes. Stew solves all problems, including what to do with all of the leftovers from Ameir’s graduation barbeque. These will all be very imprecise measurements, since I was working with leftovers from the fridge. The stew is a combination of guacamole, roasted corn, tomato sauce, chicken broth, and shredded leftover chicken. It came together so quickly, in less than 20 minutes! It also stores well and tastes better the next day. 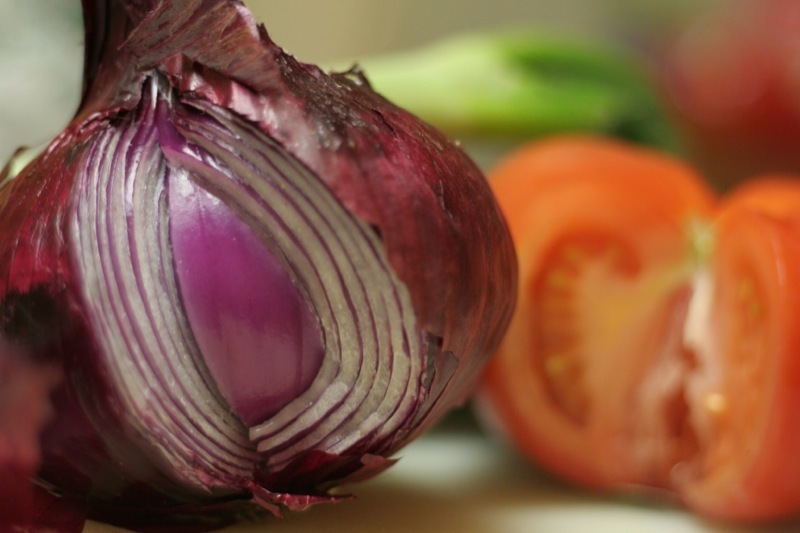 — In a large pot, sautee the diced onion and carrot until soft. — Add the guacamole, corn, tomato sauce, and chicken broth. Stir well. — Add the cilantro and diced or shredded chicken, let it simmer until warmed through. Thanks, Sophie! 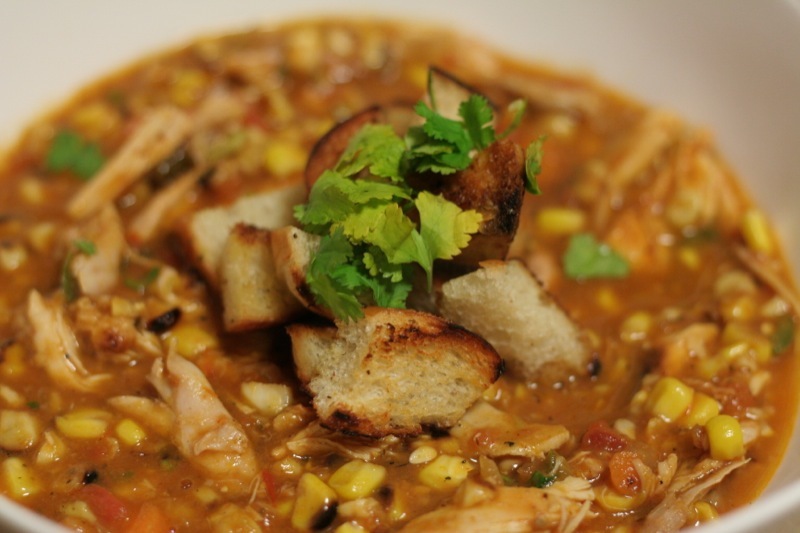 Recipe for Roasted Corn and Chicken Stew now at http://keyingredient.com/recipes/86467.